This year is a very important one for AEGEE. Of course every one is important in it’s own way, but in 2015, AEGEE celebrates it’s 30th Anniversary. It was celebrated in almost every local, everywhere in its own way. We tried to summarise some of the events and the ways that this historical moment was celebrated among antennae. 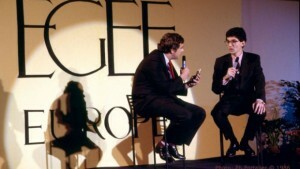 The 16th of April, 1985 is the day when AEGEE was founded. EGEE(Etats Generaux Des Etudiants de l’Europe) conference organised in cooperation with five Grands Écoles in Paris, was the one that marked the beginning of AEGEE. The whole process was led by Franck Biancheri and all the students who were involved wanted to turn the EGEE conference into an organisation in order to create a platform for young Europeans. The aim of the founders was to create a platform so the European matters could be discussed and the youth could present their ideas to institutions on national and European level. Because it was not an idea wide spread among Europeans at that time, many students established antennae in their own cities. 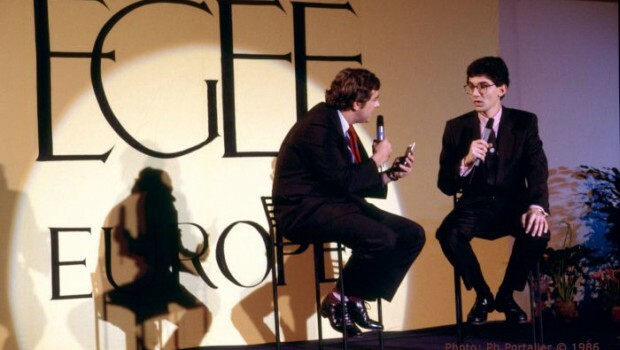 The name EGEE is related to the Aegean Sea where democracy was created 2,000 years ago, but because it was confused with a French company, in 1988, the name was changed into what we all know today as AEGEE. 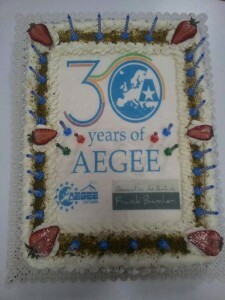 This year AEGEE celebrated 30 years of success, great projects and development. The date itself could not pass by unmarked, so there a big event was organised, The Night of the Seven Antennae, in order to recreate the conference that took place at the creation of AEGEE. This event was organised by seven locals: AEGEE-Aachen, AEGEE-Bergamo, AEGEE-Catania, AEGEE-Eskisehir, AEGEE-Kyiv, AEGEE-Leiden and AEGEE-Sofia and took place on 18th of April. The motto was 7 cities, 1 event. The original conference was called Nights of Europe, and took place on 7th March 1986 in seven cities, different from the ones in which the 30th Anniversary took place: München, London, Paris, Amsterdam , Strasbourg, Bruxelles and Nice. The Night of the Seven Antennae was connected through live streaming on the night of 18th of April. The ones involved, even if they watched the live stream relived the moments of the 30 years of AEGEE and connected to the night of 1986. 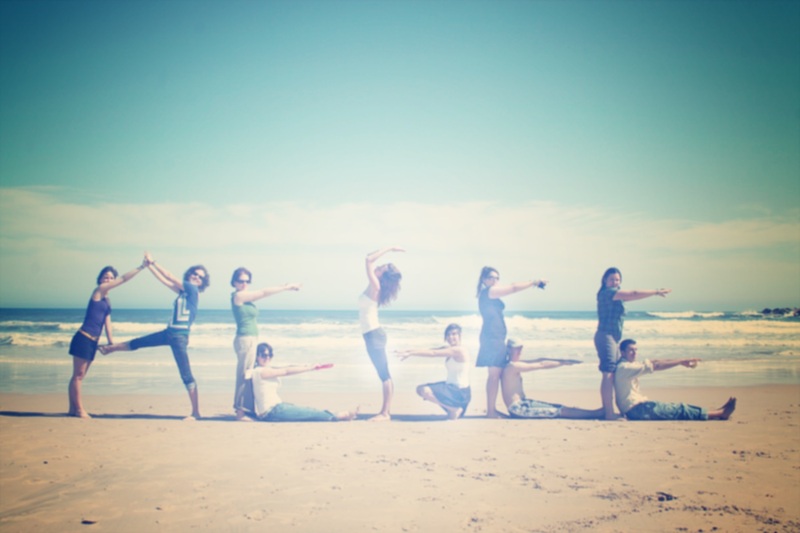 Many antennae celebrated the 30th anniversary in their own way. AEGEE-Brescia for example made a video with a short history about AEGEE, how the organisation made it through to today, and how AEGEEans are forever young because they help to create a border-less Europe. AEGEE-Bratislava celebrated this event with a dinner and a small panel discussion about how the youth can get involved in the the EU and what future is awaiting the EU. Of course they could not forget about the cake as well. AEGEE-Paris went Back to the Roots between 6th to 8th March. You can read more about it here. Of course Brussels could not miss the celebration, so the event took place from 8th until 10th of May. The conference had the theme Schuman declaration 65 years later – wishes of the young generation for Europe and on the 8th of May, four panel discu ssions took place, regarding the European integration: social, political, economic integration – where are we heading? ; democratic innovations and active citizenship; jobs and growth; education and learning mobility. 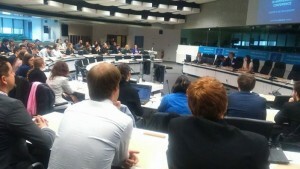 The speakers were from the European Commission, representatives of civil society, politicians and students from all over Europe. There were as well some antennae who did not create an event, but celebrated at a smaller scale, with some discussions about the history of AEGEE or a night out, partying, like AEGEE-Helsinki did. The celebration among antennae will continue this year, because this moment should be celebrate all throughout the year, not only on one day and AEGEE-Cagliari is organising one this July. AEGEE will get older, will contribute to a lot more things that we can imagine, it will change members’ destinies and perspective about different things, it will grow as it did until now. We have to take care of it and do our best so the people that will follow can enjoy the moments and the project like we do. Happy Birthday AEGEE, many members, projects and years ahead!